MCM is... A new service for Australia's film and video industry. MCM is ... Motion Capture Magic, for computer effects and animation. The coming boom in computer generated creatures and characters has arrived--for movie effects, commercials, and TV series. Motion capture is a technology for making animated characters move according to a real-life performance. The result is realism, expressiveness, accuracy and efficiency. The performer could be an actor, an athlete, a stunt person, or an animal! The character could be an alien, a ghost, a cartoon figure, or a cereal box. Either whole body motion or facial expression and speech can be captured. Motion capture is compatible with the software most professional studios use: SoftImage, Alias, 3D Studio, and others. Clients design their own characters and write scripts. 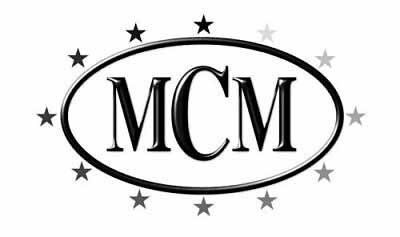 MCM can offer advice on getting the best results. MCM digitises real-life performances in our motion capture studio. Clients are free to provide their own performer, or specify their own choice of location. MCM delivers computer animation files to clients so that clients can compose and render their own productions. For larger projects with longer schedules, such as TV series, MCM can provide even more. We can help you plan your production process, develop custom effects, and establish scheduled shoots, to get your animation done on time and on budget. Please contact us for more information on how motion capture can make animated effects practical for weekly TV. The Vicon 370E optical motion capture system used at MCM is the only one of its kind in Australia. Performers are never constrained by cables, but instead wear lightweight reflective markers. Seven high speed cameras work together to track markers' positions to within 3 millimetres accuracy, allowing for movement covering many square metres. The system allows for two or even three performers at a time. It is even possible to track the movement of props or performers' clothing. All motions are converted into the same kind of skeleton-based animation which animators commonly use. MCM can output data to specifically match any type of hierarchy or skeleton requested. Motion Capture Magic is a division of the BEAM GROUP OF COMPANIES, one of the world's largest independent multimedia studios. Beam employs over 100 full time staff, from designers, 3D modellers and animators, through to programmers, producers, musicians, and a large quality assurance team. Beam's offices are in central Melbourne. Beam is Australia's leading producer of electronic entertainment. Founded in 1980, the company has a long history of producing and publishing popular computer games world market. Beam has a large department of 3D computer graphics artists, and a wealth of experience in computer animation. In recent years Beam has pioneered the use of motion capture in Australia. Motion capture is one of Beam's key areas of research and development.